Finally, after much anticipation we managed to finally pop by and try the trendy little tuck shop. Everything about this tuck shop is screaming of novelty, and it makes me all giddy with excitement. 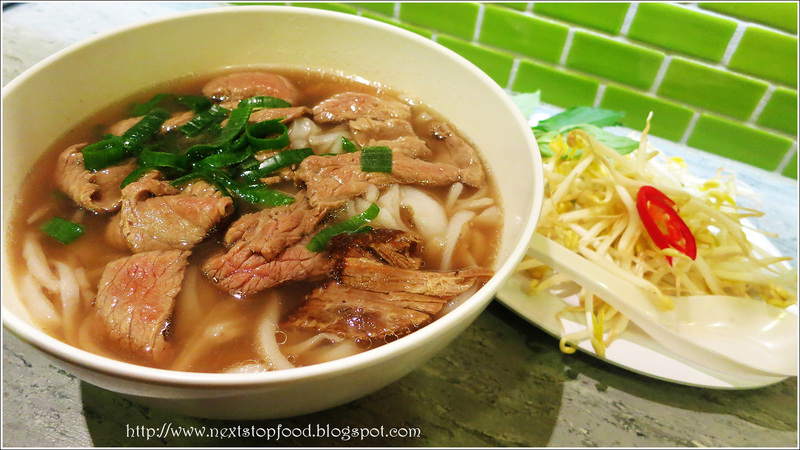 What to eat on a cold and wet night that was preparing us for winter … Candice and I knew exactly what we were going to have – the beef and ox tail pho! Being all hopeful for a nice and hearty noodle soup we were only left with disappointment when it was only luke warm. However, the soup did indeed hold flavour of your average pho. 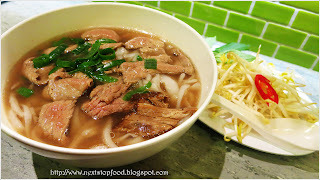 I would have loved the beef slices to be more towards the thinly sliced – but I know if I want pho, I will need to go to your more traditional pho joints. 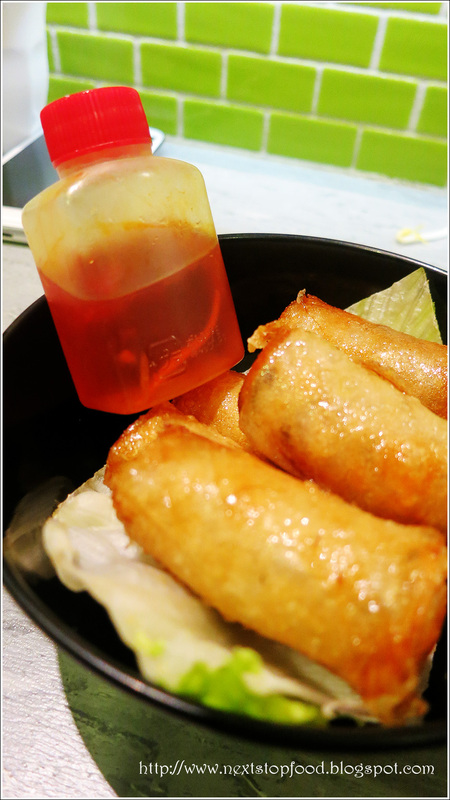 There was no way we were passing off some fried goodness so we ordered the spring rolls, and boy, were they good! Yes, size could be slightly bigger but mmm~ hello delicious crunch!! The fish sauce comes in a small cute plastic container that you can just pour out rather than “double dipping”. Not that you will need to double dip. 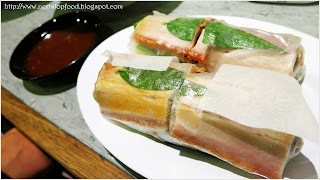 Feli and her beau ordered the roast pork rice paper roll, it was beautiful - the mint wrapped within the roll gave a nice and refreshed feeling along with the mouth watering pork. The curry was so flavourful with very tender chicken. The salmon marinade was simply divine! 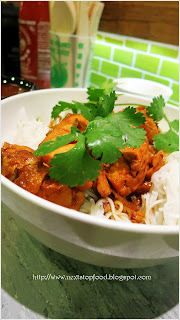 The salmon was succulent and it always makes us happy when there is enough sauce for us to thoroughly enjoy it with the vermicelli. 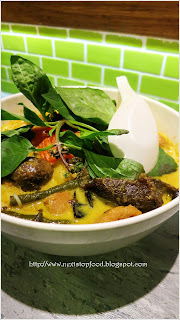 This could be served with either warm rice vermicelli salad or steamed rice and greens. 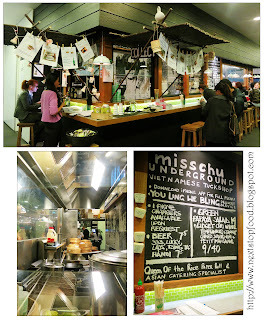 If it wasn’t because of Feli telling us about how well her choices were, I may not consider popping in again to try Miss Chu. However, I think I am willing to give them another visit, but maybe not just yet – as there are too many things on my list right now!! Love the cute spicy bottles with the spring rolls. 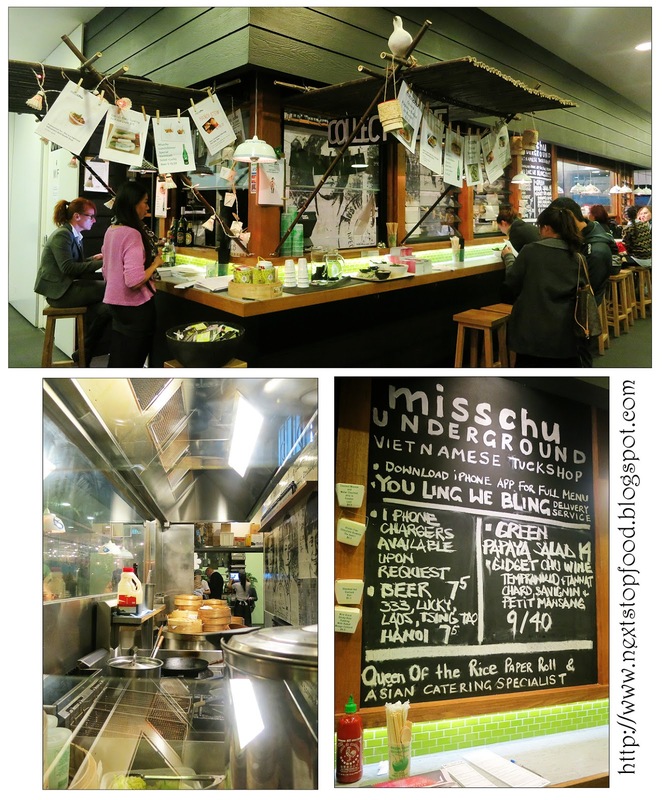 ive only been to the one off oxford st but i have to agree that their food is pretty delicious! The seafood spring roll nets are pretty awesome but I can't stop thinking about that roast pork rice paper roll - sounds like a banh mi! mmm ~ it does doesn't it! Salivating after reading your post. Must try the salmon bowl, more enticing as it is gluten free!